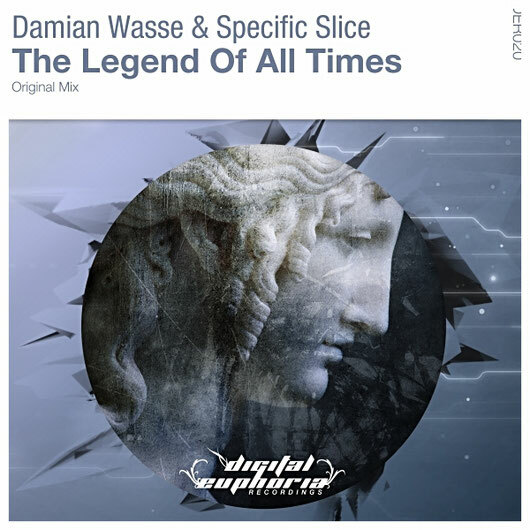 Digital Euphoria continues its ascension with the release this week of something very special from Damian Wasse & Specific Slice. This is 'The Legend Of All Times'. The two producers team up to bring us an intricate piece of music that remains faithful to its title. 'The Legend Of All Times' provides a massive bassline, combined with powerful acid lines. The magic, however, happens during the breakdown, where all the epicness of the main melody stands out. The Original Mix focuses more on the breakdown, to really set you on a journey through emotions, as opposed to the Club Mix, which is more straight-forward and will bring you to a magnificent climax very quickly. This release also includes a radio edit. Tune in : avivmedia.fm "Daily Promo Top"